THIS TRIP CAN BE 100% CUSTOM BUILT FOR YOU. NO GROUPS, NO SET DATES. The wilds of Bella Coola Valley in British Columbia evokes the explorer within each of us. Untouched slopes, new drop locations each day, and a luxe lodge to relax in at night makes this trip a skier's paradise. The wilds of Bella Coola Valley in British Columbia evokes the explorer within each of us. 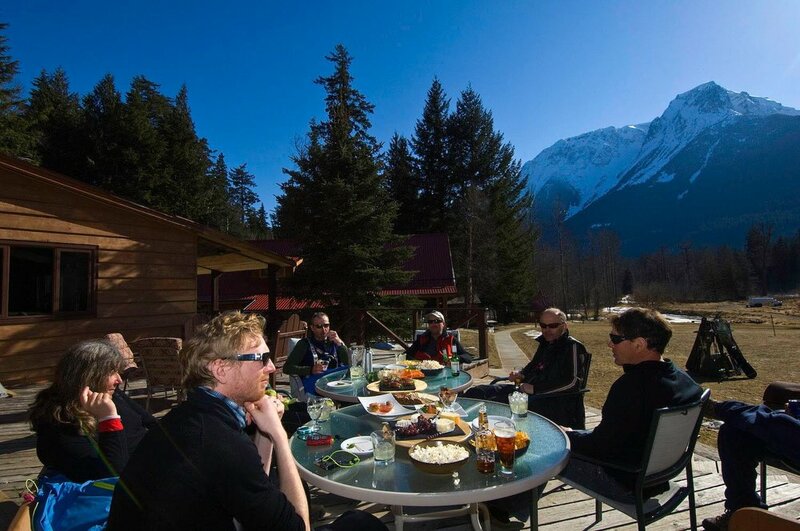 And a stay at Tweedsmuir Park Lodge, complete with dramatic slopes to heli-ski each day, is the perfect way to satiate that thirst for adventure. 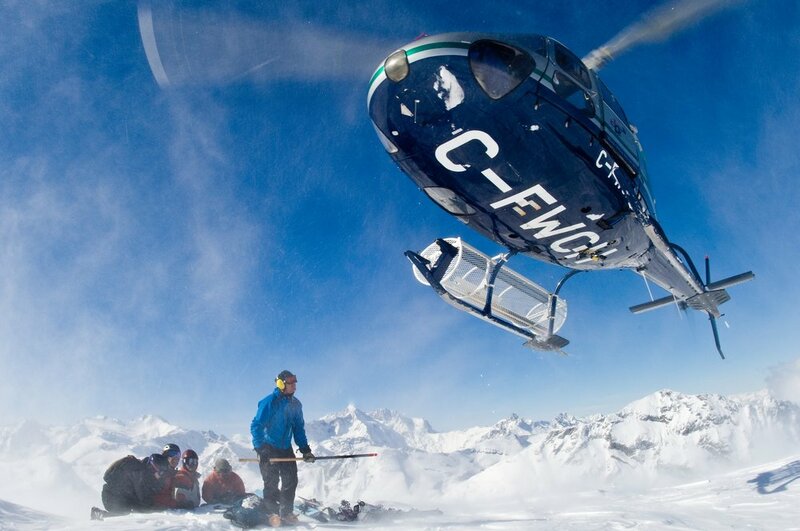 Bella Coola is the ultimate destination in British Columbia when it comes to heli-skiing. 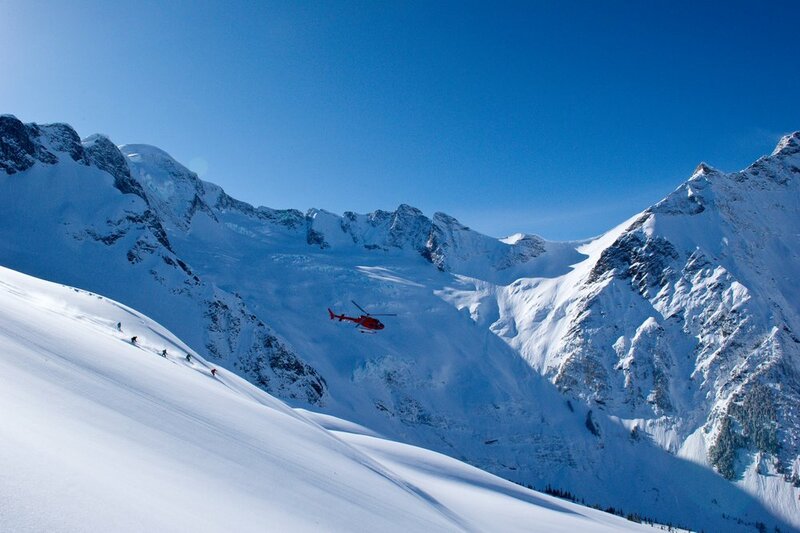 Founded by a group of skiers, Bella Coola has access to the largest contiguous heli-skiing tenure in North America. With 2.64 million acres of skiable terrain in the Coast Mountains, the entire area is 499 times bigger than Vail, 325 times bigger than Whistler and Blackcomb combined, and 90 times bigger than the whole Trois Vallées—hey, it's even bigger than the entire Swiss Alps. That means you're guaranteed fresh tracks...every...single...day. Untouched slopes, new drop locations each day, and a luxe Canadian lodge to relax in at night makes this itinerary a skier's paradise. Your guides will be eagerly waiting to welcome you with a picnic lunch upon your arrival in Vancouver. From here, if the weather is conducive to it, the guides will give you a safety briefing and get you geared up to go heliskiing that afternoon! There’s no messing around out here, you’re here for adventure and the guides will make sure you get it. You’ll ski your way into the valley, working your way to the welcoming embrace of Tweedsmuir Park Lodge, a luxury lodge with rustic touches done to perfection. Settle into your beautiful, private timberframe chalet and indulge in a multi-course dinner before a night of deep, invigorating sleep. You’ll need it for all the excitement still to come! Those 100,000ft of vert aren’t going to take care of themselves. For six glorious days, deep in the Canadian wilderness, the Coast Range is your playground. 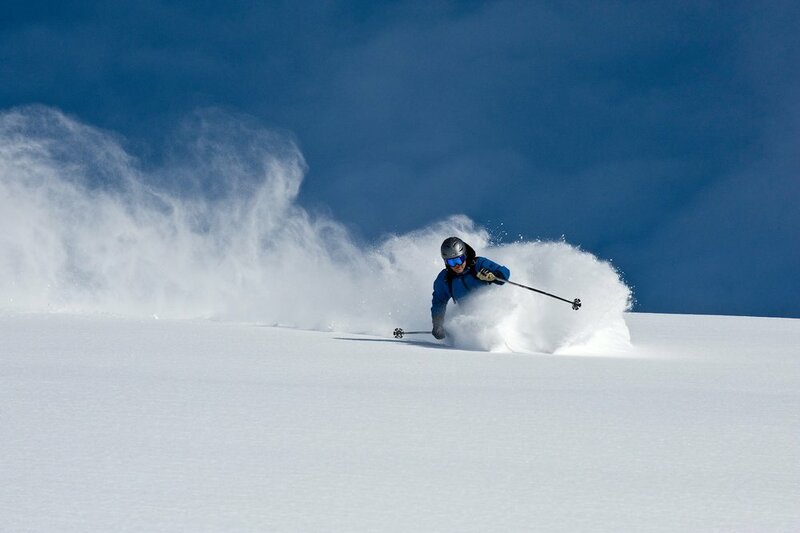 Highly experienced and qualified mountain guides scope out the best slopes for your drops each day. At 2.64 million acres Bella Coola offers the world’s largest contiguous tenure, and all for a maximum of 34 guests spread over 3 lodges! The massive area means each day’s skiing is new and varied; glaciers, open bowls, gladed trees, huge rock spires...it is all yours to explore! Plus, another benefit of the colossal size of the terrain, it is still possible for guests to still bag first descents, this is extremely rare in Canadian heliskiing! One of the biggest perks of an 8 day itinerary is not having the pressure to ski each day. After a couple days on the mountain, take a well deserved break and soak in the luxurious yet homey accommodations at the lodge! You can spend the morning heli-skiing the surrounding peaks and then wind down with an afternoon fly-fish within sight of your cabin. Warm up before dinner in the sweat lodge or hot tub, the perfect way to round out a day in the Canadian wilderness. This trip isn’t willing to end with a simple breakfast and airport transfer. Your week in the valley has been filled with excitement from the start and we want to make sure it ends that way. If the weather cooperates you can take yet another opportunity to heli-ski as you make your way to the airport, landing right next to the airplane taking you back to Vancouver. A truly legendary finish! Once you submit your form, we'll get back to you with ideas, questions, options and logistical insight to begin planning the trip of your dreams. It's as simple as that.